I am so excited to bring you another fantastic group of products from Luminess Air. 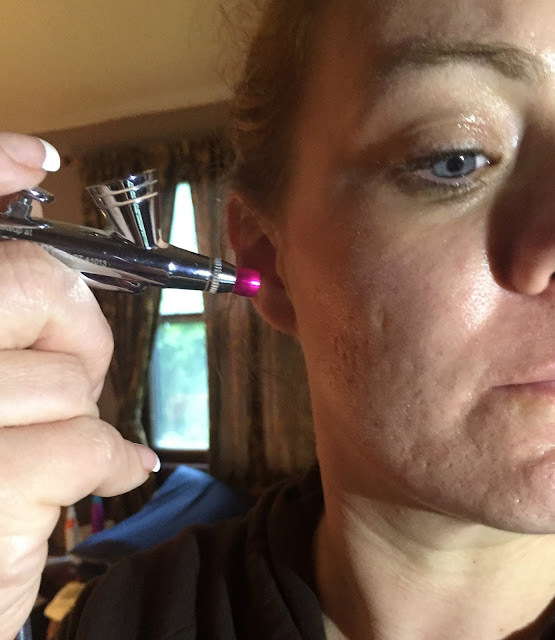 If you may remember, I originally showed you their Luminess Airbrush System and their AirSupremacy Mist system. They both offer a wide variety of products for your face makeup. 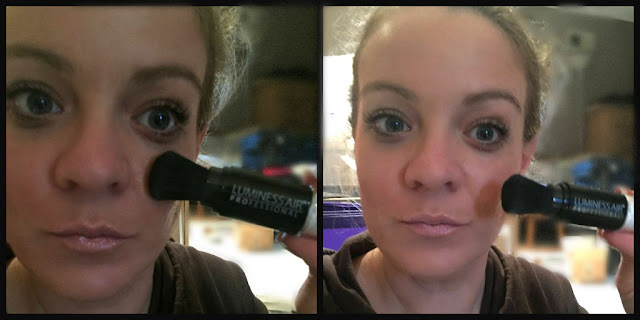 Now, I have the Mystic Airbrush Foundation from Luminess Air. 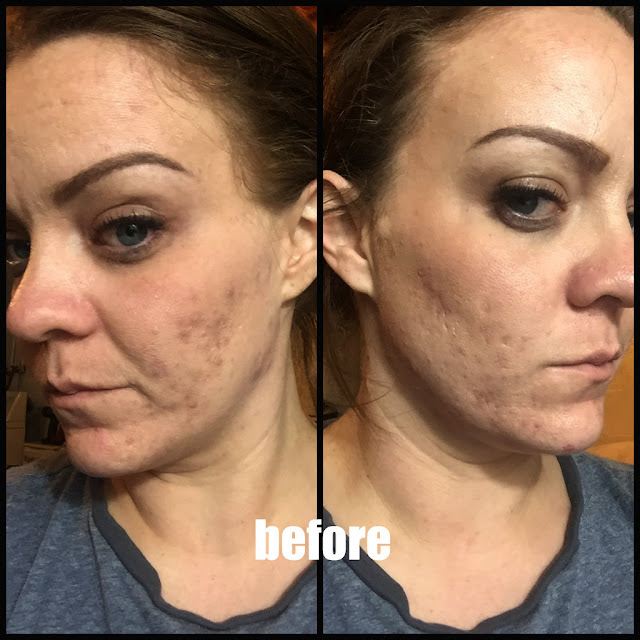 I love this system because you all know with my recent face fix project, I have been left with uneven skin. This covers all the scar marks evenly and still feels breathable. It doesn't aggravate my sensitive, oily skin either. Luminess Air Mystic Airbrush Foundation is also oil-free, fragrance- free, paraben-free, water resistant and humidity free. 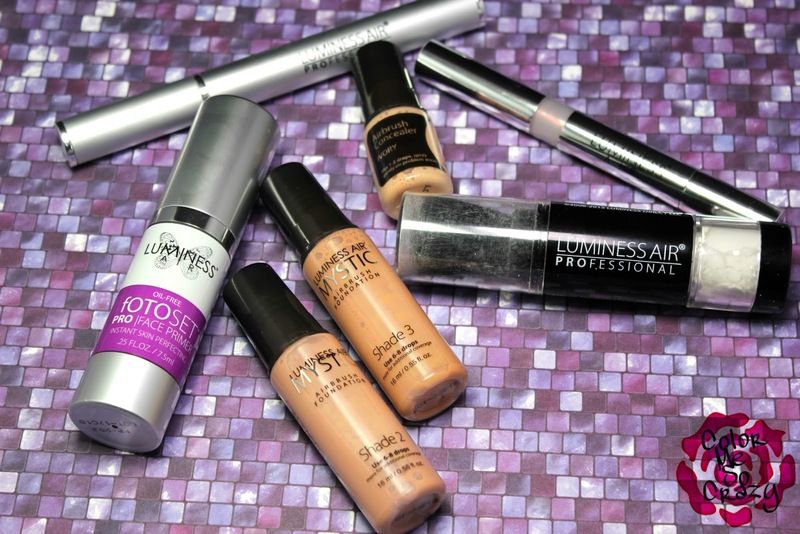 In addition to the Mystic Airbrush Foundation, I am fortunate to try out the CC+ Concealer, Inspiration Lip Gloss Pen, Mascara (currently on sale for only $7.99 here), FotoSet Pro Face Primer, Clear Finishing Powder and 2 shades from the Mysitc Airbrush line. I was most excited to try out the Mascara and Lip Gloss Pen since I have not tried another of the other non-airbrush makeup. I'm pretty much loving this primer. 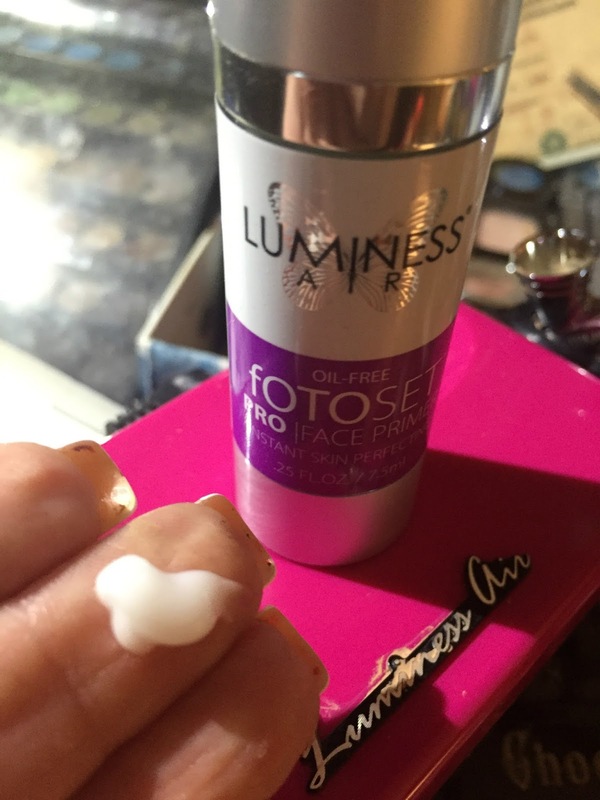 Take it from someone that has a face full of unevenness, this is pretty much par with the rest of the fantastic primers I use. It is creamy and applies really nicely. It doesn't feel heavy and it does blur most of those imperfections. Next, I applied my CC+ Concealer. 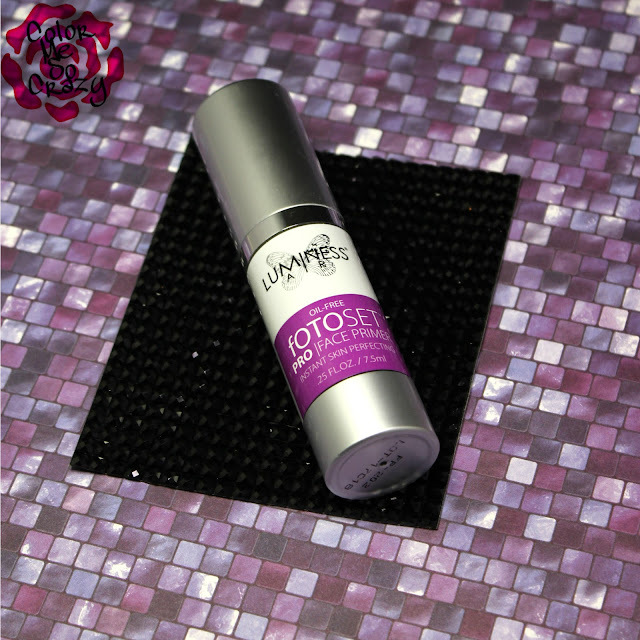 This is perfect for a quick coverage of any blemish. This is currently on sale for $9.99 and works to cover even the worst imperfections. This covered my scarring really nicely and didn't leave any weird coloring. After I applied the concealer, I get to the full face coverage. I actually mix Shade 2 and Shade 3 of the Luminess Air Mystic Foundation together to get a perfect match for my skin tone. Once they are mixed, about 3 drops each to start off, I apply in even circular motions. I pull the airbrush a couple inches from my face and use about medium speed to start at my forehead and work clockwise. When I first started using this, I had to go at a slower pace but now that I have the hang of it, I can pretty much do my entire face in about 2 minutes. You can pick up the Mystic Foundation for $39.99 and there are 12 different shades. Keep in mind these little bottles will last you quite some time. I am still working on finishing my last set from earlier this year. The **NEW** Mystic Airbrush Foundation is the first foundation, concealer and corrector all-in-one from Luminess Air. 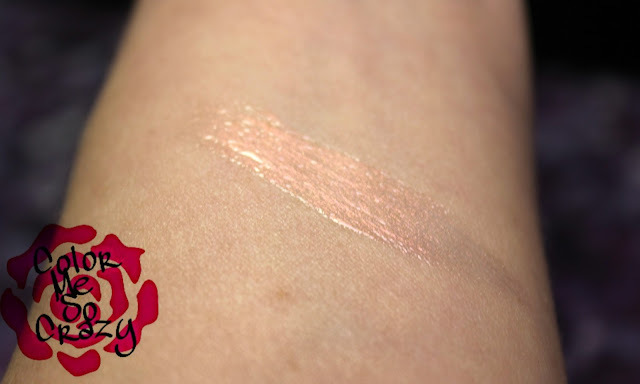 It gives the illusion of bare skin with a natural brightener. 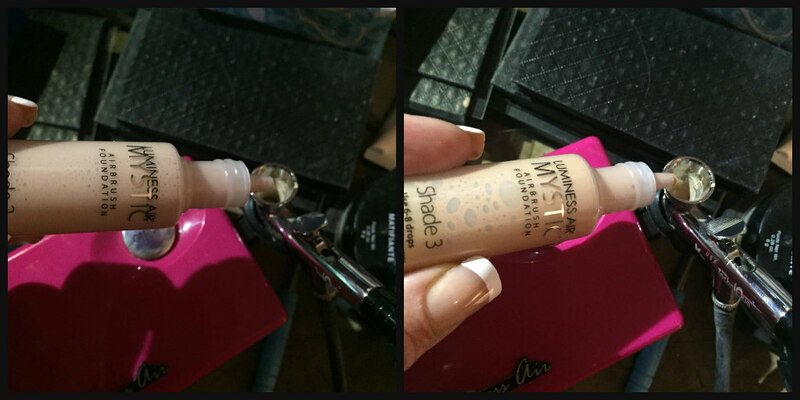 The formula is light weight but full coverage. 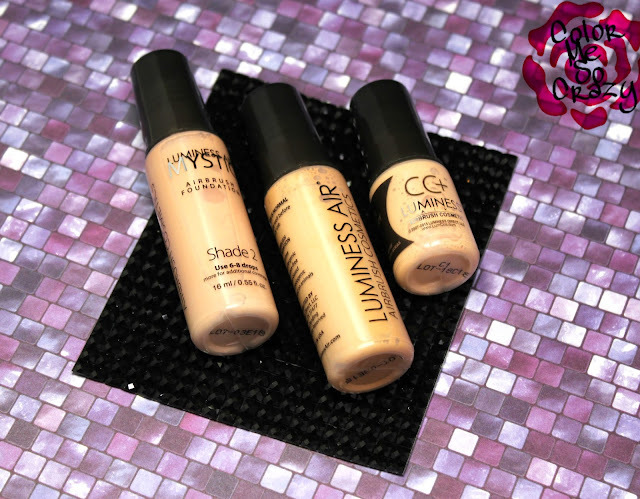 Any of the Luminess Air foundation products that I have used has complete coverage in just a couple drops, light-weight and no cakey buildup. It also lasts all day with no need for application. For extra protection, they also offer a Makeup Sealant. 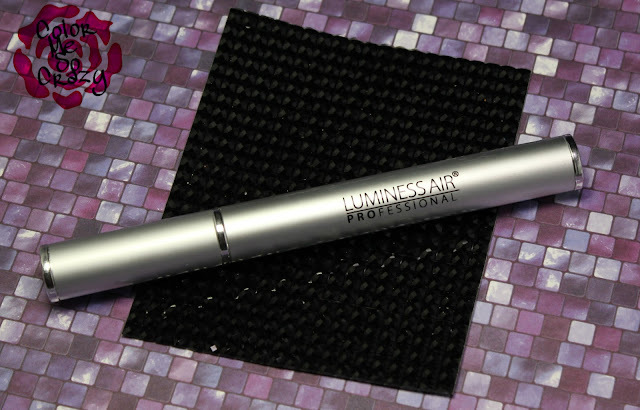 Next, I applied the Luminess Air Professional Mascara. This is only $7.99 right now and it's a keeper. 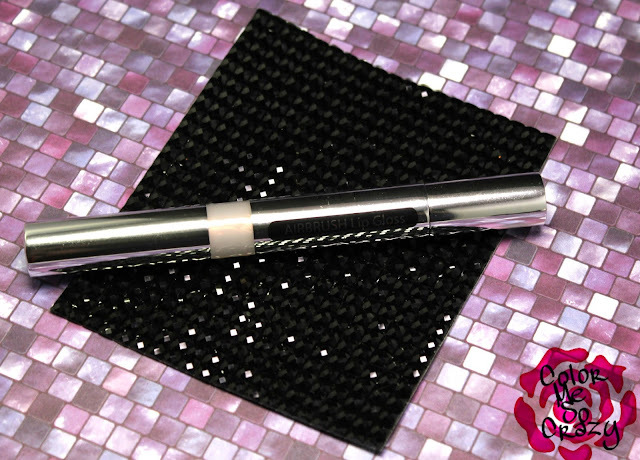 The full wand allows for lengthening and volumizing when applying to the lashes. It is waterproof and long lasting. I will be wearing this throughout the week, so stay tuned to my Snapchat for a wear test. Szizzy12184 is my name- check it out! Overall, I am impressed with the boost this gave me in my lashes. 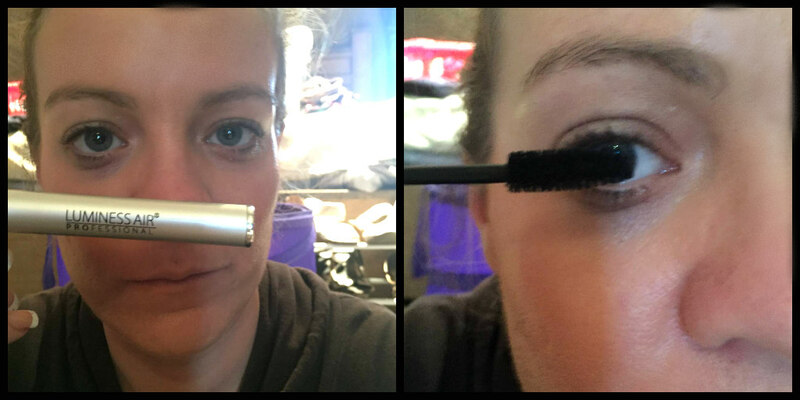 As you can see on the left, I am wearing the Luminess Air Professional Mascara and on the right, I have nothing. I usually don't wear mascara on my bottom lashes, but I was going for a flirty, no makeup look so I applied it this time. I will be applying it on my bottom lashes to tomorrow to see how it fairs. 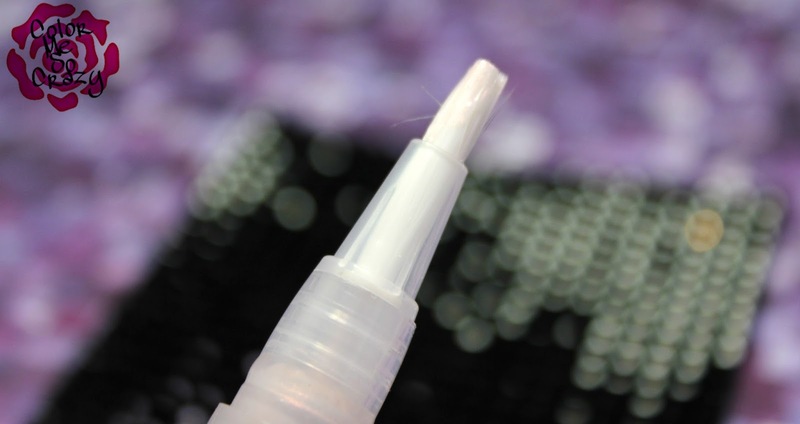 The packaging is really need because it comes with a brush and a wand that you turn at the top to make the product come out. As you can see, the bristles are white and are really soft against your lips. The color is a pretty opalescent color and looks fantastic on its own or on top of your favorite color for an added shine. 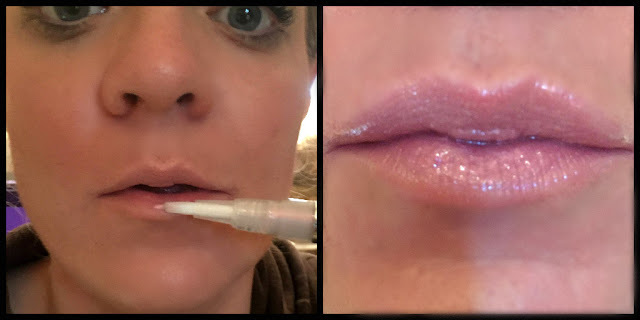 I was very surprised at the application and formula of the Luminess Air Lip Gloss. It applied very smoothly and easily with the thin brush. It also felt very soft, not sticky or tacky on my lips. Even after wearing it for a couple hours, my lips still felt really soft and smooth. This also had a slight, floral scent. It was not strong at all, but it was nice compared to the plasticky scent that usually comes with a lot of glosses. 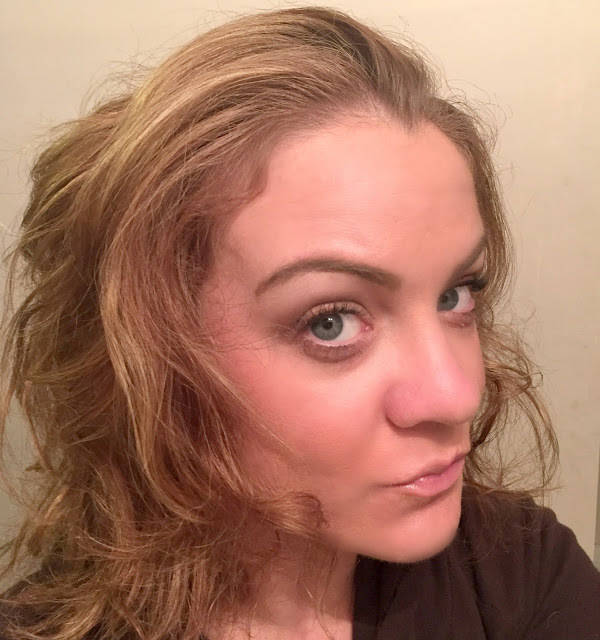 Lastly, I applied the Luminess Air Translucent Clear Finishing Powder on my entire face. This is mineral based to control oil and seal in makeup. It can also be used for touch-ups as it is great for any skin tone. I really enjoyed this product. It comes in a really neat package as it's a tube with a brush on the end. You pull the tube up to cover the brush, twist the end and then pull the brush back out to apply. I'll have a little demo on Snapchat this week to show you all how fun this is! The Luminess Air Translucent Clear Finishing Powder covers really nicely and evenly. This also comes in 2 other colors to extra protection. Overall, I really like all of the products I got to try out. I can't say enough about how easy it is to use this kit. Once I practiced and used it a couple times, I fell in love. It is so easy, economical and perfect for me. The coverage is amazing and the products they keep coming out with is amazing, too. 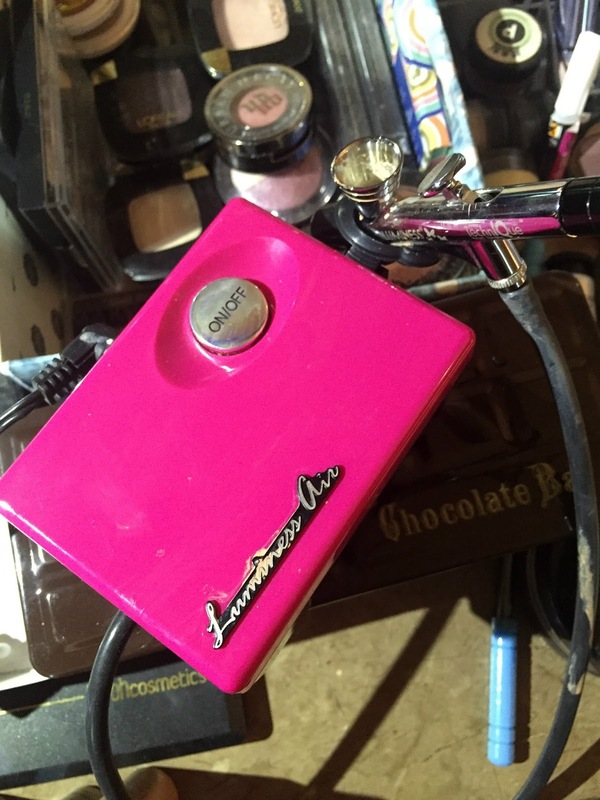 I love using the Luminess Air system for every day and when I go out. I can be assured that the face I put on in the morning will stay all day long without a reapplication. 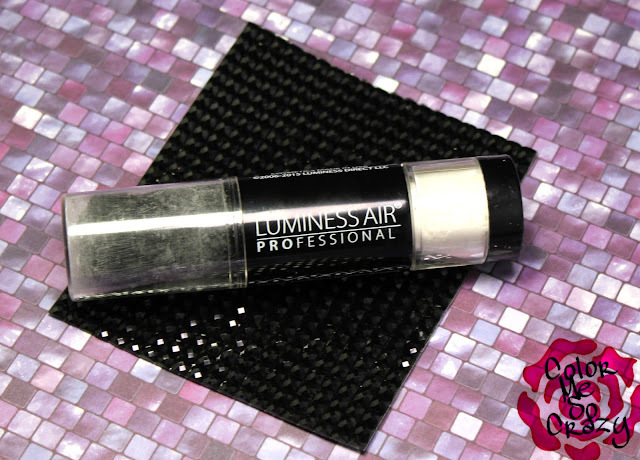 Have you ever heard of Luminess Air? What do you think about airbrush makeup? Could you see yourself using any of these products?